One of the first New York Martin guitars ever made. 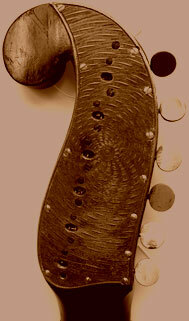 One of the earliest surviving six string guitars. The famous Leckie/ Tarrega manuscripts. A massive Fernando Sor music archive, many signed by Sor. The Guitar Museum is dedicated to the Guitar of the 19th Century (actually from 1785-1909). From the birth of the six string Guitar to the death of Tarrega. The main objective of the guitar museum is to share my knowledge, information and instruments with like minded people. The difference between this and many other very informative sites, are that all of the exhibits are available for inspection. Although I do buy and sell guitars, none of the museums collection are for sale. However, please visit the museum shop for related items - And if anyone is selling a guitar or a manuscript of historic importance, please contact the museum.